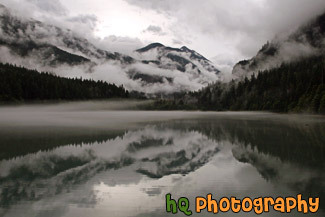 #1728 — A scenic vertical picture taken of the clouds and trees reflection in Diablo Lake which is located in the North Cascades National Park in Washington State. 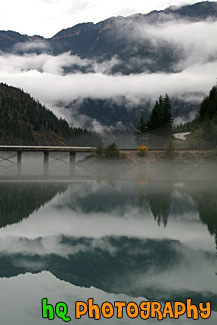 #1760 — A scenic picture taken of the Diablo Lake and reflections of the sky, clouds, bridge, and mountains in the lake. Diablo Lake is located in the North Cascades Mountains in Washington State. 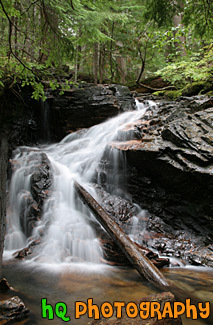 #1720 — A scenic picture taken of the Ladder Creek and rocks seen with the creek water streaming over the rocks. This photo has the cotton candy effect by using a slow shutter speed on the camera. #1723 — A scenic vertical picture taken of Ladder Creek Falls located in the North Cascades National Park near the town of Diablo. This picture was taken with a slow shutter speed to get the cotton candy effect. #1719 — A scenic picture showing the cotton candy effect on the Ladder Creek which is located through a narrow gorge near the Seattle City Light town of Diablo in the North Cascades National Park. #1777 — A scenic picture taken of a waterfall with the cotton candy silky effect. 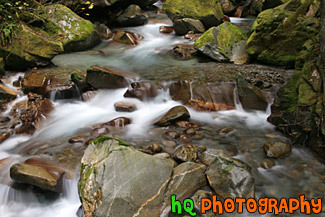 This photo was taken with a slow shutter speed to get the streaming look of the waterfall. 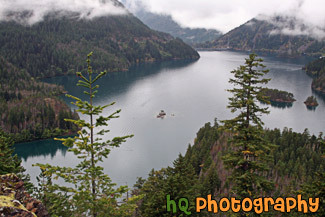 #1765 — A scenic picture looking down at Diablo Lake with clouds overhead and fog creeping down towards the lake. Diablo Lake is located in the North Cascades Park in Washington State. #1776 — A scenic vertical picture taken of Diablo lake and the surrounding mountains, trees, and clouds reflecting in the lake. 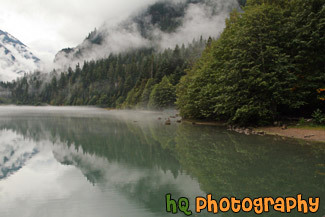 This lake is located in the North Cascades National Park in Washington State. 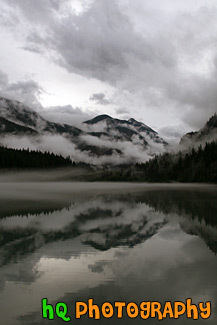 #1828 — A scenic picture taken of a dramatic Diablo Lake clouds, fog, and reflection seen on this autumn morning. You can see the mountains, hills, trees, fog, clouds, and sky reflecting into the lake. 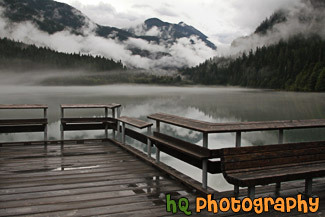 #1829 — A scenic picture taken of Diablo Lake and the dock, mountains, trees, dramatic sky and clouds, and fog. You can see reflections in the lake. 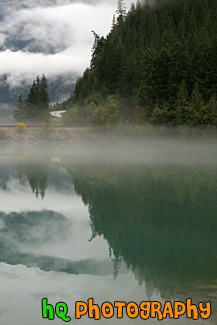 #2073 — A scenic picture taken of the lake reflection of the trees and fog in Diablo Lake which is located in the North Cascades National Park. 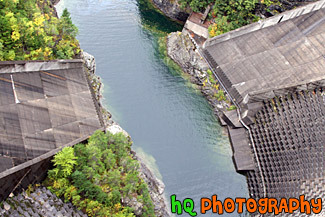 #1800 — A scenic picture looking down at the waters beneath Ross Dam which is located in the North Cascades National Park in Washington State. #1831 — A scenic vertical picture taken of rocks and a tree along the shore at Diablo Lake which is located in the North Cascades National Park in Washington State. You can see mountain hills and fog in the background. 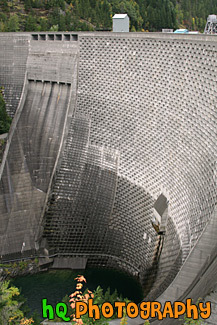 #1729 — A scenic vertical picture taken of Ross Dam which forms Ross Lake in the North Cascades National Park. It currently stands 540 feet (165 m) tall. 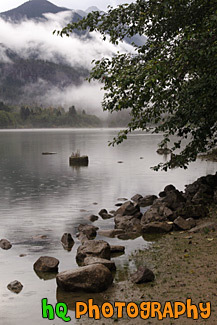 #1763 — A scenic picture taken of Ross Lake on cloudy day. 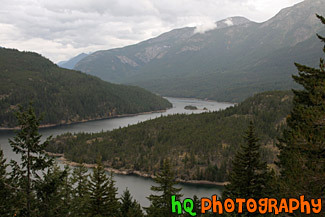 Ross Lake was created by the damming of the Skagit River and is in the recreation area of the North Cascades National Park. The elevation of the lake is 1600 feet and it is over 20 miles long. 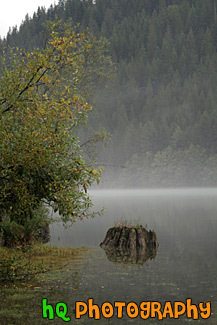 #1770 — A scenic vertical picture taken of a tree stump reflection seen in Diablo Lake located in the North Cascades National Park on a cloudy, foggy day. 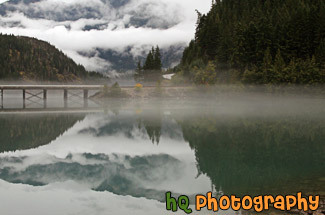 #1832 — A scenic vertical picture taken of a dramatic Diablo Lake clouds, fog, and reflection seen on this autumn morning. You can see the mountains, hills, trees, fog, clouds, and sky reflecting into the lake. 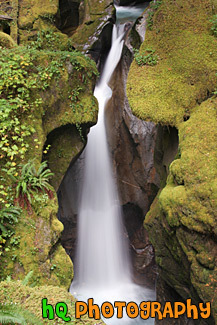 #1847 — A scenic picture taken close up of a waterfall located in the North Cascades National Park in Washington State. 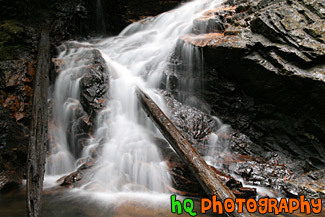 A couple logs are seen laying in the waterfall. 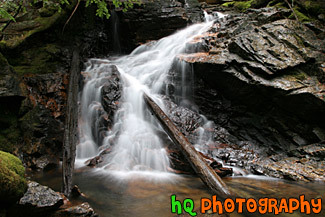 #1815 — A scenic vertical picture taken of a waterfall which is surrounded by green trees and a log laying in it. 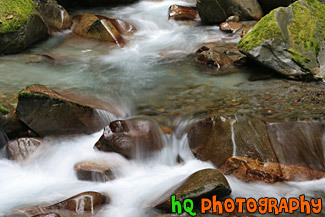 This picture was taken with the cotton candy slow shutter speed effect to get the silky looking waterfall.